American International Medical, has been in business for over 30 years, We offer used medical equipment and support on GE, Quinton, Burdick, Schiller, Mortara other major brands of stress systems. defibrillators, EKG machines, holter systems, blood pressure monitors, ultrasound machine and other durable medical equipment, along with accessories and supplies. We specialize in current and earlier stress system models and electronic components, difficult to find parts, cables, technical support, supplies and “out of factory” support systems. 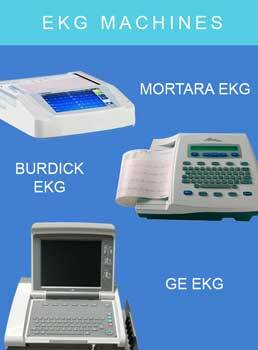 Complete equipment repair and cosmetic repairs of medical equipment are also available. 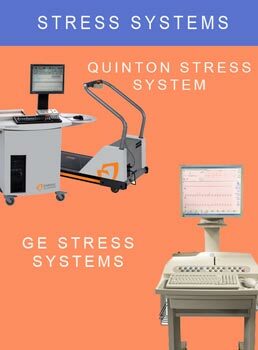 We specialize in Quinton, GE/Marquette and Burdick systems, Ekg machines, Stress Test Machine, Ultrasound, Cardiac treadmills and any other major brands of equipment. 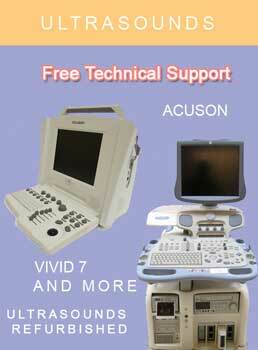 Also, we support and service every piece of used medical equipment for the life of the system. Our 1 year parts and labor warranty is included in the price of the used medical equipment. Systems are considered refurbished when shipped. Ask about a service contract for the years after the 1 year warranty.